Continuation from the previous 113 parts, the whole series can be found at http://www.nikoport.com/columnstore/. Indeed, I am taking about the Machine Learning Services in SQL Server 2017 – with currently R & Python languages being the weapons of choice for the data scientists, doing their work with SQL Server 2017. But what about the Columnstore Indexes ? How do they relate/influence the Machine Learning Services? – It is all about the communication and the way the data is being delivered to and from the Machine Learning Services. 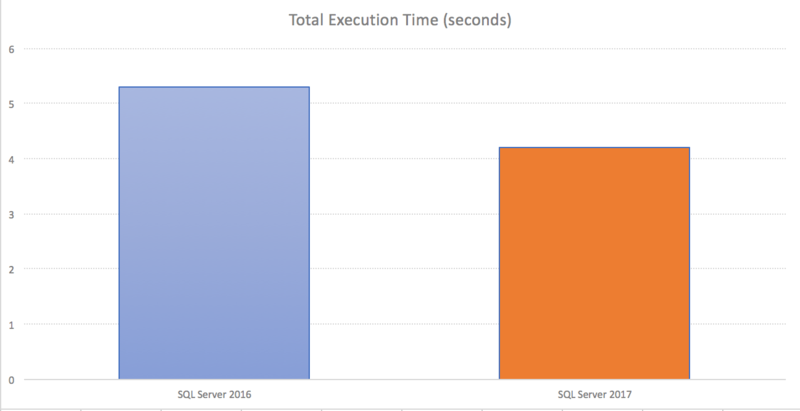 If you have been trying to follow the recent developments in the SQL Server space (especially since 2016 version, where R language made its premier), you should surely have heard mentions about the function sys.sp_execute_external_script in the SQL Server 2016+. If this is the first time for you, then I urge you to take a look at the official documentation, the basic examples at Microsoft Documentation as well as at the article that my old friend Vitor Montalvão has written at MSSQLTips. 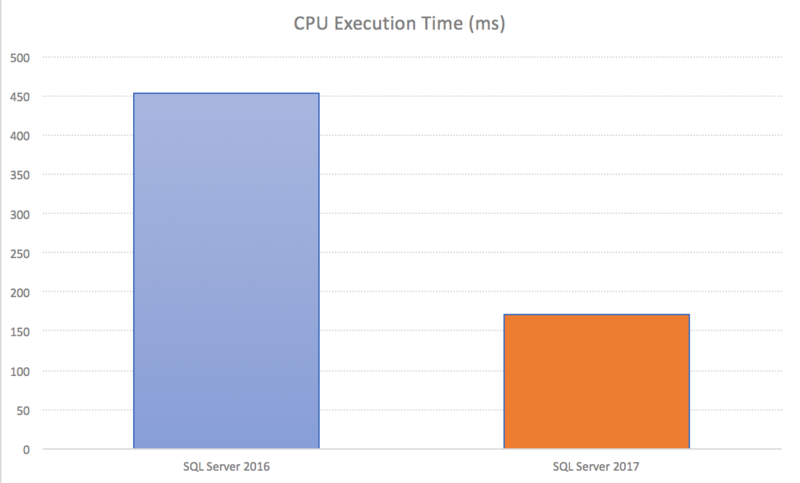 But let us not loose the focus on this very tiny blog post – how does SQL Server 2017 and the Columnstore Indexes make things better/faster for the Machine Learning Services ? Now, we can pump the content of the SimpleDataTable into the Machine Learning Services (R language in this case) and then without doing anything with this data, return it back to SQL Server. I have chosen this example without any involvement of the R language, so that I can focus on the IO communication capabilities of the SQL Server with Machine Learning Services. 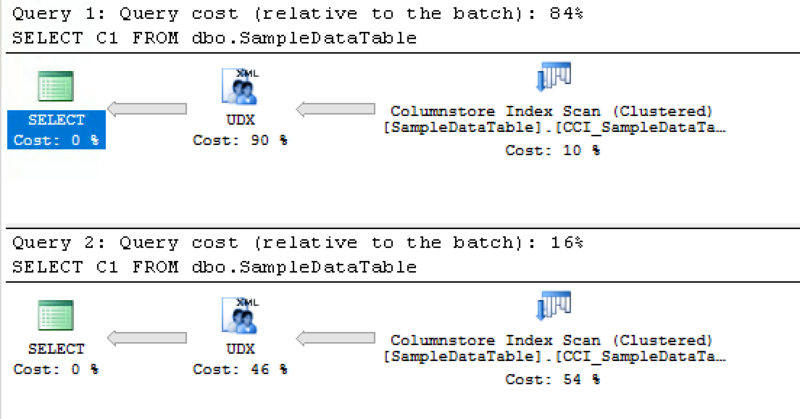 While testing the improvement on the SQL Server 2017, please bear in mind that the improvement is like so many other Query Optimiser improvements is dependent on the Compatibility Level, and so in order to see how approximately (because there are other optimisations) it looked on the SQL Server 2016, we need to set the compatibility level on our database [Test] to 130, which corresponds to SQL Server 2016. To see the improvement functioning at its best, we need to set the compatibility level of our database to 140 (corresponding to SQL Server 2017). 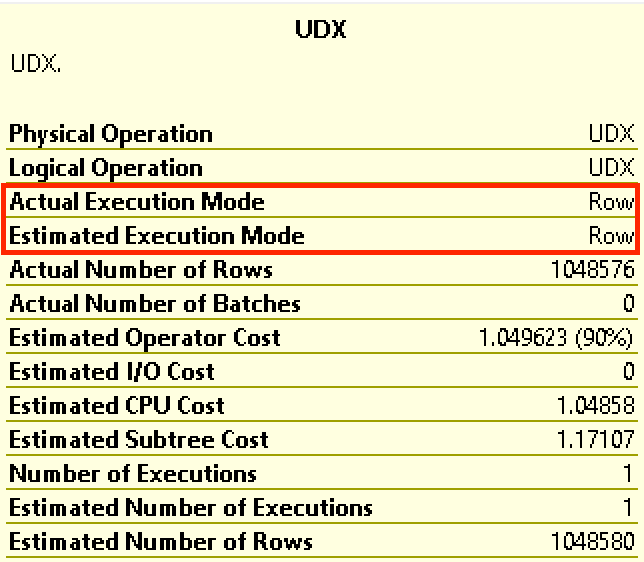 You can see that the estimated execution is already quite different, having the first one (2016) being significantly slower than the second one (2017). 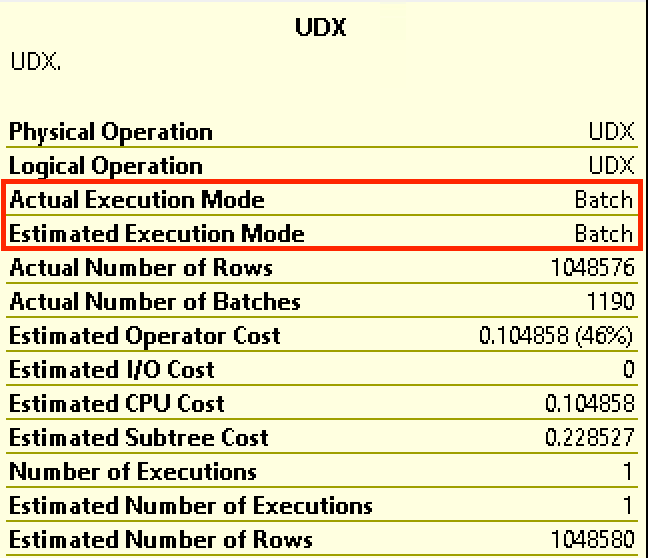 The secret is all hidden behind the UDX iterator, which is doing exactly the IO operations between the relational engine of SQL Server and the Machine Learning Services.